The musical force that is Adam is marching full speed ahead. With recent appearances on Drag Race, AI and Glee, he is making his way back into the limelight (not that he ever left it for us here). 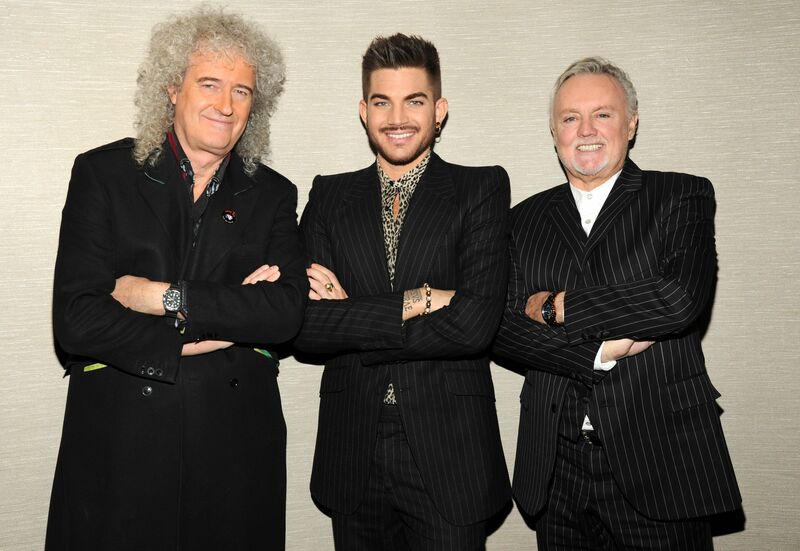 With a news conference set for Thursday, March 6th at Madison Square Garden, we are sure to find out details of a Queen + AL tour. So get ready to jump on the bus! Oh, and don’t forget that Adam is still appearing on Glee and working on his own music too! 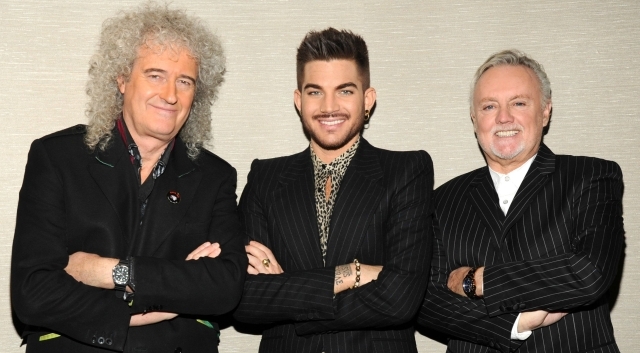 With the special announcement coming it was suggested to use a Q+AL photo for this month’s header. But what about all the other great photos from last month? Oh, the dilemma! Well, I hope this photo is a compromise. Taken at the London show by Mark Gledhill (glemazon), it shows Adam in the shadows about to emerge into the full spotlight. Cross your whatsits so that this tour results in getting this multi-talented performer the respect and recognition that he merits. Reese: Thanks for the post. He (Sam Smith) seems really unusual and I love his singing already. I love that comparison, ultimathule. And boy does he look hot! The hair, the lips, the sneer…fierce. I love that comparison, ultimathule. And boy does he look hot! The hair, the lips, the sneer...fierce. Al and Nekkid at the moment I am supposedly generously bound. TLKC says: 03/31/2014 at 7:44 am It’s not DIVORCE any more cher. Conscious uncoupling… :-* Al and Nekkid at the moment I am supposedly generously bound. “@JustAFanAL: @adamlambert I’m ready for #postgaygeneration”. Me too!!!! They’re upon us! I will not be defined or victimized by my orientation. Hallelooooooo! I love all of u who get it. Thank u for your continued support. This is gonna be a great year!!! @adamlambert @GLEEonFOX omg you were so amazing on there!!!!!! Honestly you brung the show out more. Your creativity and your style!! BRAVO! @adamlambert I love you for your honesty! @adamlambert speaking of the album ~ do you think itll have a light/dark side like TP, or will it be focusing more on just one of the sides? 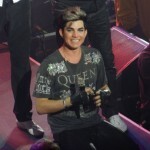 If @adamlambert ever communicated with me in any way on Twitter I would die. What I CAN say about the album is that is a completely post-modern affair. Very sonically diverse and very honest. Adam Lambert ‏@adamlambert 16m U know whats sorta annoying? When fans write "it's so sad he's gay"Why?Cuz if I was St8, then we could date? Sad? 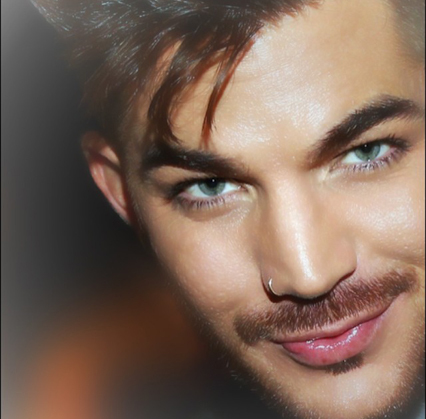 I love bein gay #oxymorons Adam Lambert ‏@adamlambert 12m "Adam, take it as a compliment, that they like u that much" Well if they do, they should realize it's sorta indirectly offensive. #realtalk Adam Lambert ‏@adamlambert 7m “@JustAFanAL: @adamlambert I'm ready for #postgaygeneration”. Me too!!!! They're upon us! 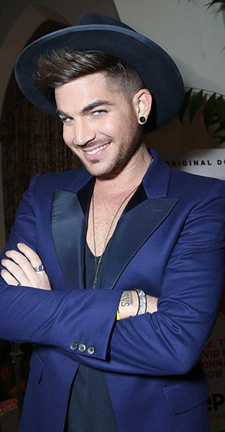 Adam Lambert ‏@adamlambert 5m I will not be defined or victimized by my orientation. Hallelooooooo! 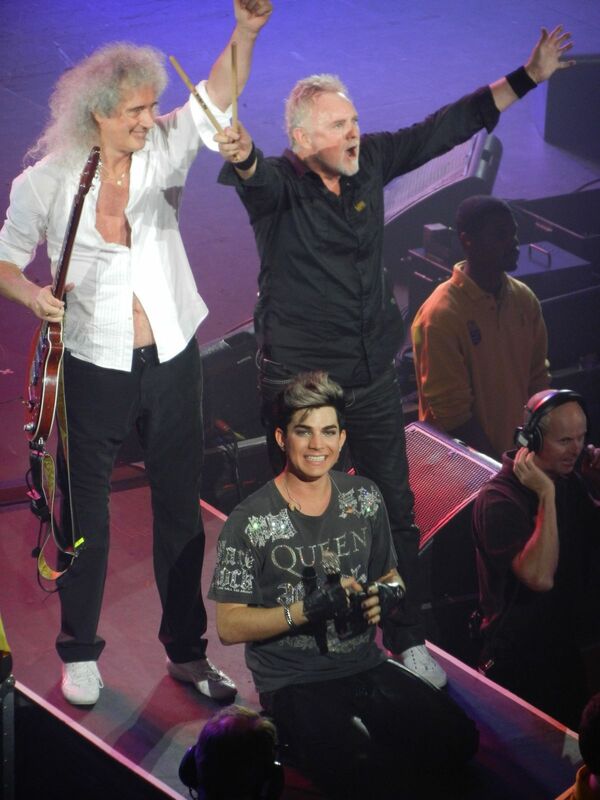 Adam Lambert ‏@adamlambert 5m I love all of u who get it. Thank u for your continued support. This is gonna be a great year!!! 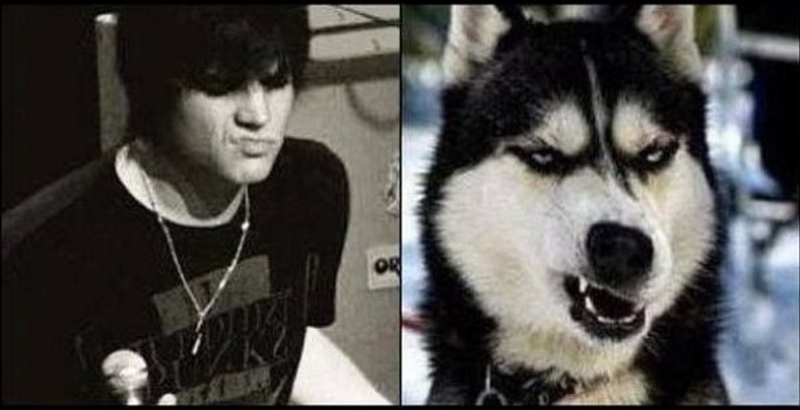 Adam Lambert ‏@adamlambert 3m Hahaha exactly. Same difference. "@DavidWayneConn: @adamlambert You're gay, I'm gay. Doesn't that mean we should date then? Haha” Adam Lambert ‏@adamlambert 1m Agreed! It's going really really well! 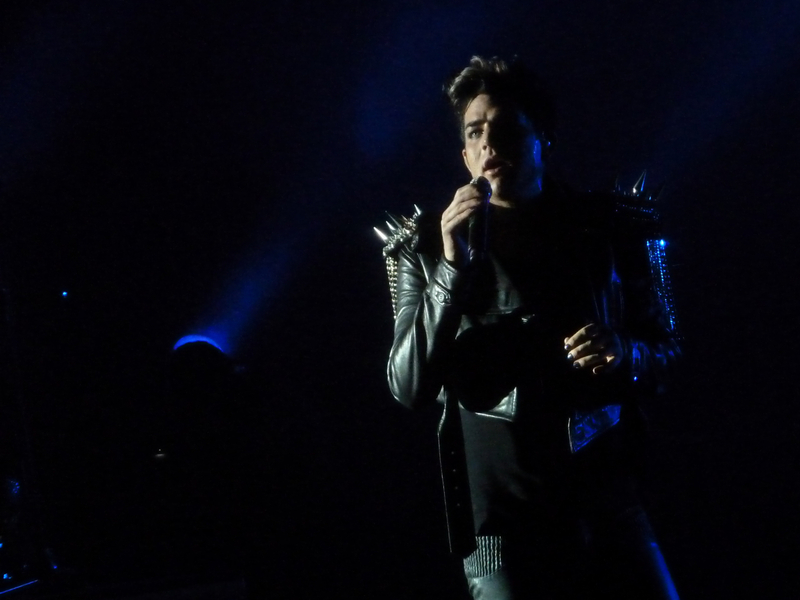 "@sandraAML: @adamlambert enough about orientation.. LETS TALK ABOUT THE NEW ALBUM?? IM SO EXCITED"
He’s tweeted a bunch more – go look. He's tweeted a bunch more - go look. New April thread is up. One month closer to the Q+A concerts! Don’t Sleep in the Subway on iTunes still says featuring Adam. Is that true or not – anyone know? Don't Sleep in the Subway on iTunes still says featuring Adam. Is that true or not - anyone know? ulti, I think it’s a mistake. I read on MJ’s that it’s Rachel and Artie. Don’t know if Adam sings in the chorus, as I think it was done while they were in NY and A was in Sweden. I guess we’ll know tomorrow night. ulti, I think it's a mistake. I read on MJ's that it's Rachel and Artie. Don't know if Adam sings in the chorus, as I think it was done while they were in NY and A was in Sweden. I guess we'll know tomorrow night. AL, luval, great pics. Hard to force oneself to go below and read anything. How’s this? Elliott is asked by Blaine if he is interested in Kurt and Elliott says no. Towards the end of the show Rachel and Artie are singing Subway together and Elliott is singing his part solo on another set/scene, as they have been doing with NYC/LIMA duets. Elliott is alone and the scene makes it clear that he does have a thing for Kurt, which is why he is leaving, because he doesn’t want to mess things up for Klaine. BUT he will be back…because I want him back. We can’t hear Adam’s voice on the audio but NVM. That’s my story and I’m sticking to it. How's this? Elliott is asked by Blaine if he is interested in Kurt and Elliott says no. Towards the end of the show Rachel and Artie are singing Subway together and Elliott is singing his part solo on another set/scene, as they have been doing with NYC/LIMA duets. Elliott is alone and the scene makes it clear that he does have a thing for Kurt, which is why he is leaving, because he doesn't want to mess things up for Klaine. BUT he will be back...because I want him back. We can't hear Adam's voice on the audio but NVM. That's my story and I'm sticking to it. Now, see, riskylady….if those pics had been Adam Levine pics you wouldn’t have had any trouble scrolling down to the conversation. Now, see, riskylady....if those pics had been Adam Levine pics you wouldn't have had any trouble scrolling down to the conversation.